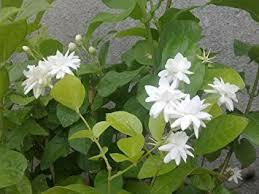 “Jasmine flower gave us a stable monthly income soon after six months of plantation. The waiting period was long but I was sure it will be good,” affirms Mrs. Sangita Mhatre, progressive women farmer from Mande village, Palghar district, Maharashtra. Along with her husband, Mr. Shashikant Mhatre she owns less than one acre farmland. Half of the farm area has jasmine cultivation while in the rest of the area vegetables are cultivated. “Jasmine had been life-changing crop for us. Once cultivated each plant yields flowers for 10-12 years. It yields flower round the year. The price of flower is certainly fluctuating but during the festivals it is sold at premium price thus balances the low price during off-season,” she adds. Mhatre couple tries to minimize the production cost by preparing compost and bio-pesticides themselves. They have adopted unique techniques to increase the yield during festive periods. “We feed the plant with good quality and quantity of manure a month before the festive week as a result the yield increases remarkably during festival and we earn good profits,” she highlights. Jasmine is a hassle free plant but it needs hard pruning once in six months. “We cut the plant in umbrella shape ensuring not a single leaf is present on the plant. It is important to restore the health of the plant. After 8-10 days new leaves sprouts along with the buds and quality is much better. The chopped cuttings are developed into grafts and sold to other farmers. It is an add-on income for us,” explains Mrs. Mhatre and insists sharp observation of the grower to keep a check on pest attack. “We have to be extremely careful on pest attack. The tiny insects/pests will be stuck on the flowers so we check the flowers minutely from all sides and accordingly spray the medicine. However we prepare a preventive solution of tobacco by ourselves. It is effectual in controlling all sorts of insects even those that are not visible with the eyes,” she affirms. To make tobacco spray, in 4 litre water boil 1 kg tobacco for one hour. Then after mix one kg pearl millet flour (bajra) in it and allow the liquid to cool. Once it is cooled, mix one litre sour buttermilk in it. This concentrate should be mixed in 100 litre water and sprayed on the jasmine plants once in 15 days. This spray can be used for other plants too. Jasmine buds are harvested, stored in refrigerator, stringed into hair garland (gajra) and then sold in the wholesale market the next day. “Mostly we sell it to traders and he pays us in cash. We are aware he makes more profits than us but we have no other way out as of now. Any genuine guidance or help in this regard shall be appreciable,” highlights Mrs. Mhatre. Irrigation in the entire farm is done through drip irrigation. The system has been installed without any subsidy. “We never tried taking the subsidy because it involves tedious paper work and we find it tough to spare the time for the same. However drips are important for using water efficiently so we installed on our own by taking the loan from our self-help group,” she shares. 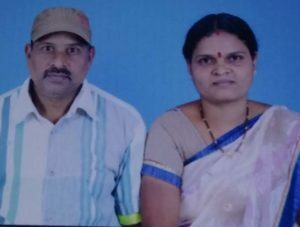 In her farmland it was getting increasingly difficult to cultivate paddy as the soil was not supporting the crop therefore changing the crop was the best way out. Being affirmative in approach and never scared of failures Mrs. Mhatre decided to try out jasmine crop. She even convinced her husband and transplanted 200 saplings in a small patch on experimental basis in 2015. “Within six months we started earning regular income from jasmine. The production was good thus in 2016 we planted more saplings. Finally as of date in half of our farm area we have jasmine cultivation,” he shares. All the saplings were sourced from BAIF Development Research Foundation. In remaining farm, mostly green vegetables are grown as it is sold fresh and at good price. Poultry was discontinued due to lack of space. Mhatre couple faced big loss in December due to sudden rains in green vegetables but not in jasmine plantation therefore they are now transplanting new plants in their vacant area of the farm. “Irrespective of loss in green we will continue it because multicorpping is important. However, we have little space (two gunta) available with us so this June we will be planting some more jasmine plants. We will be transplanting our grafted jasmine saplings instead of purchasing from BAIF,” she reveals.